It’s not quite Halloween yet, but a friends party offered us the perfect opportunity to test out our Slatebreaking Halloween costumes IRL. 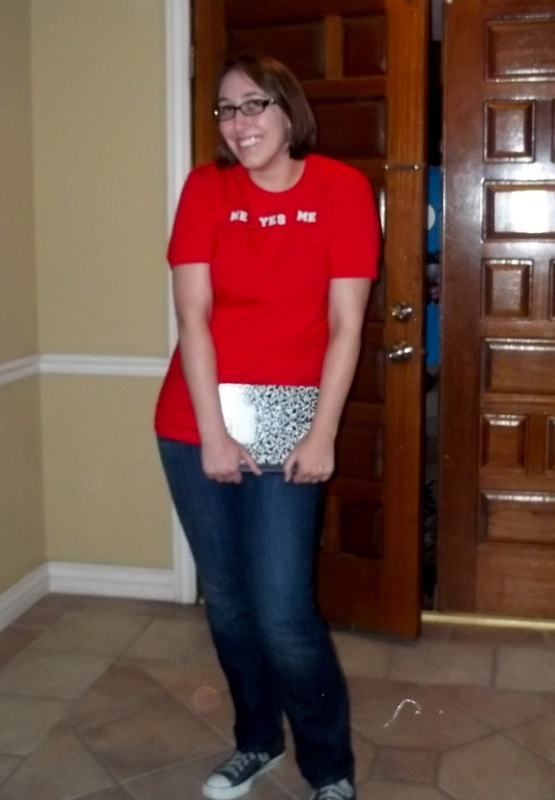 First, Brianna took her own advice and dressed as Jessica Darling. Not only was this costume comfortable, it offered her the perfect opportunity to spread the word about Sloppy Firsts and quality YA literature. I dressed as another Slatebreaker, albeit not a literary one. But Leslie Knope certainly fits the mold. Here we are, with our friend Leslie, who dressed as Rosie the Riveter. We’re pretty sure the real Leslie Knope would have been thrilled to be in this company. Did you dress up? Post your own Slatebreaking costumes in the comments! 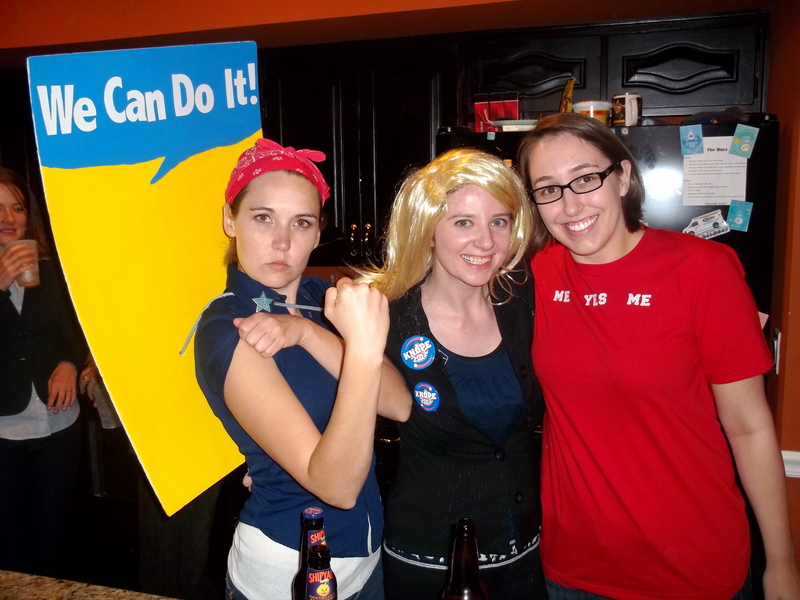 This entry was posted in Miscellaneous and tagged Costumes, Halloween, Jessica Darling, Leslie Knope, Rosie the Riveter. Bookmark the permalink. 3 Responses to Slatebreaking Halloween: Success! Jessica Darling — I love it! Very cute, and that T-shirt is awesome. Thanks Meg! It washed up great, so that means I now have a Jessica Darling t-shirt I can wear year-round, which I’m pretty excited about.